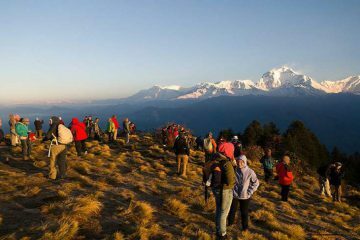 Annapurna Short trek is started from Nayapul through Birethanti to Phedi is the most picturesque and famous trekking trail that is possible from Pokhara. The mountain perspectives are splendidly beautiful. The trail is moderately simple and the wide open trail is extremely wonderful. It permits you to encounter the lifestyle of the countryside during this short trek. This place offers the magnificent view of mountains, rivers, birds, forest, stream, waterfalls and glimpse of the traditional village of Gurung and other ethnic communities of western Nepal. This trek is a perfect decision for everybody searching for a short trek in the Annapurna foot slopes. 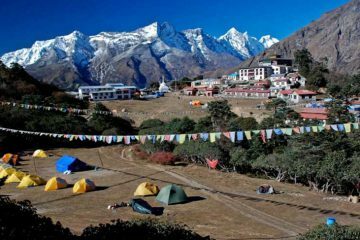 From the family with children to the ones who want to explore for a short trekking information in Nepal. Seven-hour picturesque drive to Pokhara. Stunning view of mountains like Mt. Fishtail (6997 m), Mt Annapurna South (7219 m) and Hiunchuli. Visit home to the Gurung people. Dive in the Natural Hot Spring. Visit traditional gurung house and museum. Enjoying the viewing with a combination of Green Mountain in quite rural atmosphere. Strolls across several classical villages, waterfalls, rivers and paddy terraces. Wonderful Sunrise view from Pothana (1900m). Beautiful waterfalls and also Modi Khola stream. Lovely terraces with rice field and farm house. Warm and friendly Gurung people and their hospitality. Arrival at Kathmandu (1400 m). After you arrive in Tribhuwan International Flight terminal in Kathmandu, a person from the workplace comes by private vehicle to pick up you and transfer to the hotel. And present you with pleasant welcome drinks. After sunset, your trusty trekking guide arrives for a pre-trek briefing regarding the necessary arrangements. For an example; Length of time, suggestions and trek preparing. Drive from Kathmandu to Pokhara or you may choose to fly (Drive 6 hr/Fly 25 m). 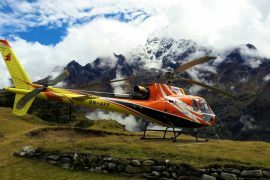 Starting from Kathmandu, you are driven to the Pokhara or you may choose to fly. 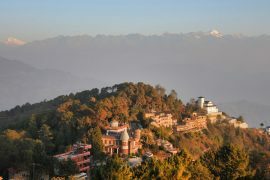 A beautiful lake city which offers stunning views of Himalayan peaks, like Mt. Annapurna, Mt. Fishtail, etc. 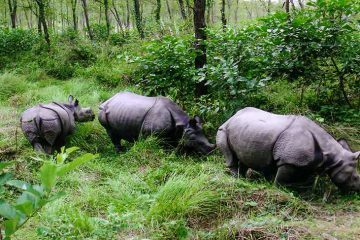 This is a touristic address of Nepal where you can relax and enjoy the beauty of Nature. En route between Kathmandu and Pokhara on the way you will see more of the countryside that offers greenery, rivers, villages, farms and beautiful mountain scenery. Annapurna Short Trek - Drive Pokhara to Nayapul (1.5hrs) and trekking to Ghandruk (1940m, 6 hr). Again today, you are driven 1 and a half hrs./45km to Nayapul where you start your trek. 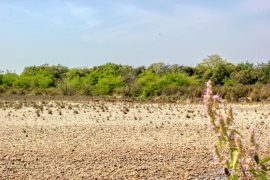 Walks along the Modi Stream you access to the Syauli bazar. After that, you will climb up on the stone steps on to the Ghandruk where you will spend your night. 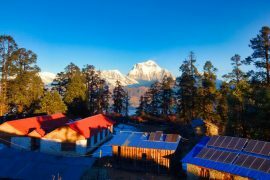 And from there you can see the panoramic view of Annapurna and Fishtail. This is the home of the Gurung people who are worldwide fame as a Gurkha soldiers. In the evening, you can go to visit traditional Gurung Museum which determines apparently the ancient culture of Gurung. Annapurna Short Trek – Ghandruk to Landruk via Jhinu (1565 m, 6 hr). Firstly, you descend and incline through the terrace fields and walk into the narrow trail. After passing the trace field and beautiful houses, you will reach the bank of the Modi River which is flowing through the Annapurna Glacier. After crossing from the unique wooden bridge, you will head up to the Jhinu and descent to the Natural hot spring. Take your recovery bath and rejoin the same trail in on and cross the wooden bridge. Afterward, you will trek to the Landruk walking through a bank of the river again with a cool air of the forest with peace of mind. It is also a hometown of the Gurung people from where you can see the close-up view of Mt. Annapurna and Hiunchuli. Annapurna Short Trek – Landruk to Pothana (1900 m, 5 hr). 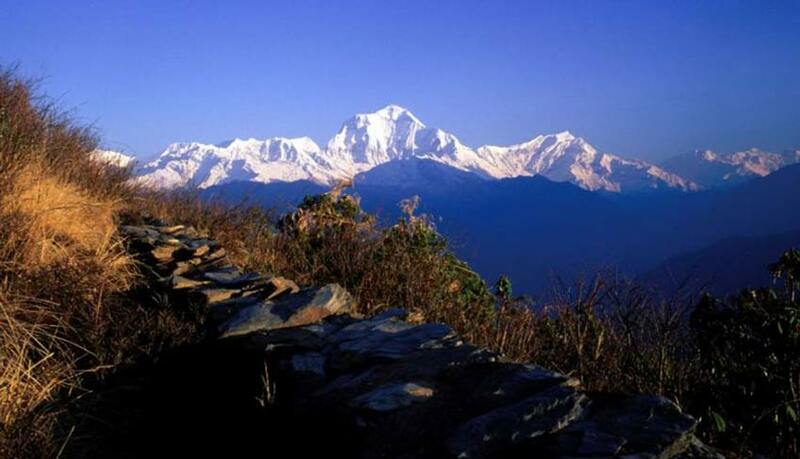 The trek begins uphill and offers views of the Annapurna mountain range. You will pass more Gurung villages. Allowing you to see the huge farming communities in which they live in. Passing on, you will reach the villages of Pothana. Here, you will spend your night. From here, you can enjoy the first view of Pokhara. Annapurna Short Trek – Pothana to Phedi and Drive to Pokhara (915 m, 3 hr trek, 30 min drive). Very soon the trek is close to ending. From Pothana, you will descend to the Phedi. Along the way, you will pass rice fields and small cottages. After you reached Phedi, you are driven back to the Pokhara. The beautiful lake city, where you can experience the different activities like Paragliding, Ultralight, Pokhara sightseeing, Cycling etc. on your own. You will return back to Kathmandu. Three hr early drive to the Airport terminal for your flight departure from Nepal. 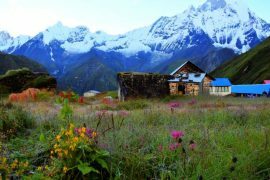 What are Included In Annapurna Short Trek Cost? What are not Included In Annapurna Short Trek Cost? Costs of individual nature like drinks, Internet, cigarettes, laundry, shopping, tipping or tips etc. Outlays as a result of unforeseen circumstances like Emergency Fund.